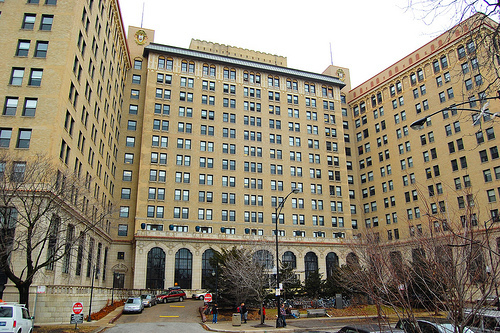 On the heels of their much praised Aqua tower, Studio Gang is talking on a very different kind of project, the renovation and conversion of the historic Shoreland Hotel in Hyde Park into rental apartments, and retail and event spaces, the Chicago Tribune reports. The building, which was most recently used as student housing by the University of Chicago, is in rough shape. Some of the once opulent interiors are in tact, but other spaces have been gutted or badly damaged, which could offer interesting opportunities to juxtapose contemporary insertions with historic elements. The project adds adaptive reuse and historic preservation to the firm’s already diverse portfolio. 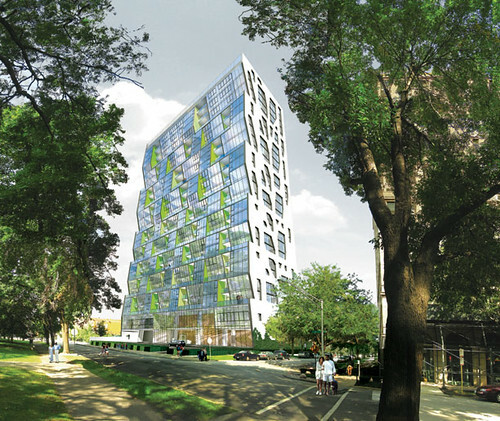 If the project is successful, perhaps it will help breathe life into the firm’s other major Hyde Park project, Solstice on the Park, which has been languishing on the boards.